Employers are required to indicate into which HMRC pre-determined list of hourly bands each employee's normal working week falls. This reports to HMRC the number of weekly contracted hours the employee is contracted to work, as opposed to the actual hours worked per week. Thus, this field should not require amendment unless there is an amendment to the employee's contract. 'E Other' should only be used, for example, for workers on zero hour contracts, no set hours or pensioners being paid a company retirement pension or annuity. It is important to record the correct number of hours your employee has worked to help ensure they receive the right amount of benefits and tax credits they are entitled to. Select the employee from the employee listing on the left menu. 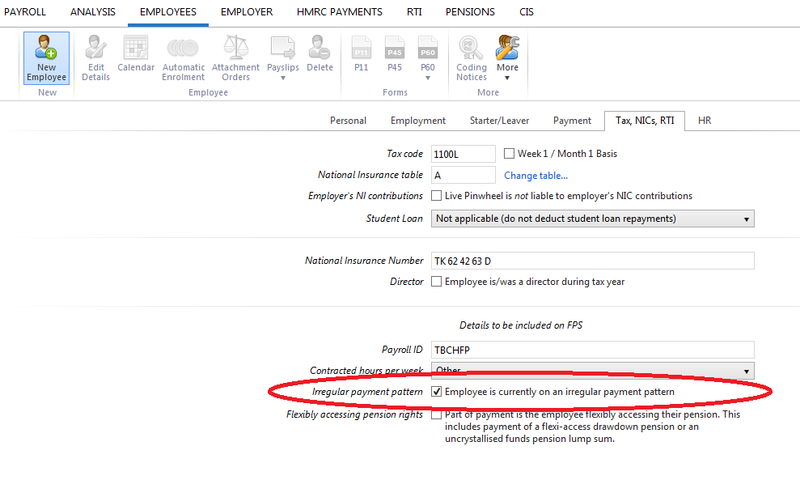 Once the employee is selected, choose the 'Tax, NICs, RTI' option within the employee record. 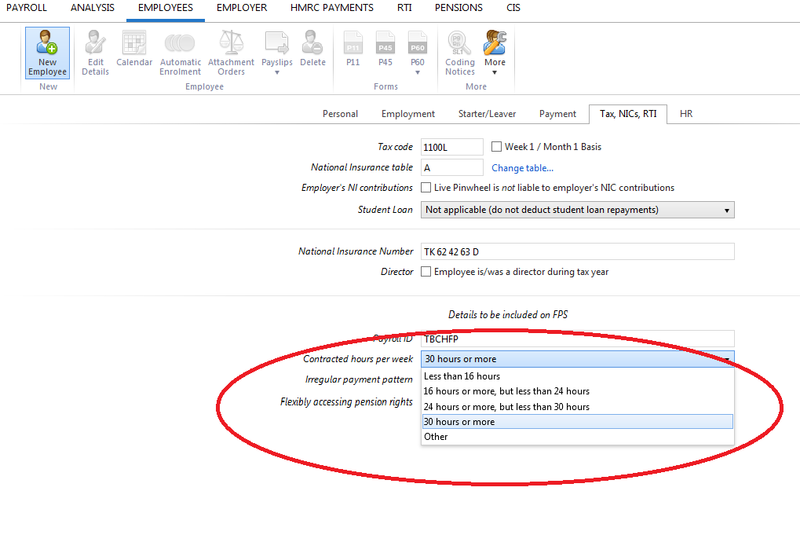 There is a dedicated field called Contracted hours per week, this displays the HMRC hourly bands. Choose the appropriate band for the employee in order for this to flow through to the FPS submission for RTI purposes. Please note: The hourly band selected has no bearing on the actual payroll hours paid to the employee.